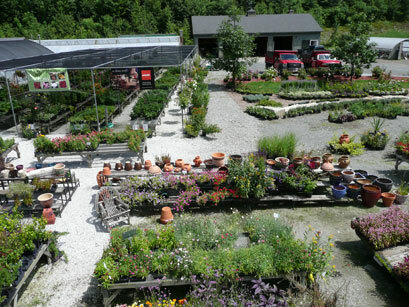 Country Caretaker Garden Center – Garden Magic, Inc.
We will happily work with you on a selection of plants for a basket or gift using just the right colors to make you or your friends happy. It is always nice to add flowers and baskets to your porch and patio. We are happy to put one together with your favorite flowers – and maybe even an herb or two. The Country Caretaker is less than a half hour from Hudson, Pittsfield, Lee or Lenox… this is the view from Route 22 going north, just north of Route 295. 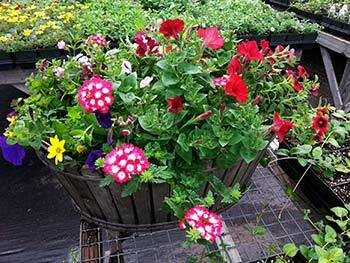 Stop in for a tour of our green houses, and see what’s blooming. Come in, browse and ask our knowledgeable staff for advice. Spend some time enjoying our great selection and personalized, friendly service. 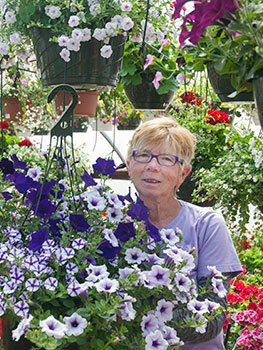 We offer a wide variety of unusual and heirloom plants, including many hardy older roses, over 20 varieties of heirloom tomatoes, 15 colors of nicotiana, over 2000 perennials, and a vast array of geraniums. We also offer top soil, decorative gravel and services for the professional landscaper. Everything you see on our web site is grown right here in our greenhouses. We specialize in the new, the different and plants that grandma grew. 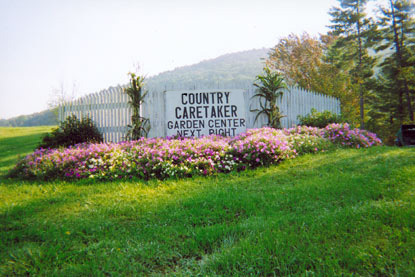 Country Caretaker Garden Center / Garden Magic, Inc.